With a virtual office, you can establish your business in a renowned location for a fraction of the cost of renting a traditional full-time office. Despite the name, a ‘virtual’ office is actually a real ‘bricks and mortar’ workspace – the only difference is you only use it when you need to. Aside from a business address to put on your website and marketing collateral, virtual office services include mail handling and forwarding, remote receptionist support, access to bookable meeting rooms and the opportunity to rent a hot desk in the building when you’re in town. From San Francisco’s Silicon Valley to London’s Silicon Roundabout – there’s a virtual office address out there for pretty much everyone. So, what are the main benefits associated with renting a virtual office, I hear you ask. Well, there are a fair few. Some have to do with client perception, others centre on business growth. You can’t have one without the other, after all. Firstly, having a business address that is separate from your residential one makes you seem more ‘credible’ to credit providers. Business credit agencies source information from business directories when assessing your application for credit, so it makes the process quicker and easier for them. It also enables you to protect your personal assets if your business finds itself in a financial predicament like bankruptcy. Using a non-residential address, such as a virtual office address, makes it easier for legal bodies to differentiate between what belongs to you and what belongs to your business. Similarly, having a business address definitely helps when it comes to client perception and makes you seem more professional and trustworthy. Customers and suppliers will be more willing to send correspondence to a non-residential address because mail handling within the building makes the transaction more secure. You can use your virtual address for client meetings. Virtual offices come with a mail handling service, so you can pick up your correspondence when you have time or, alternatively, get it forwarded to a more convenient location. A business address protects yours and your family’s privacy and security too. Having one means you don’t have to disclose your home address (or telephone number) to the world through the internet, reducing the likelihood of spammers and scammers. Having a recognisable business address creates a credible, professional, and legitimate business image. Choosing a location that is associated with your specific industry will make you look even more professional and experienced. This seems obvious, but it’s a benefit that is often overlooked. Clients will be able to find you easier with a business address in a city or larger tertiary town than they would do with a residential one. There are other benefits too. Take meetings, for example. Clients might feel uncomfortable traveling to your home address for a meeting or pitch. Depending on the package you choose, a virtual office membership often includes the option to book a meeting or board room at the location whenever you need to meet with a stakeholder. 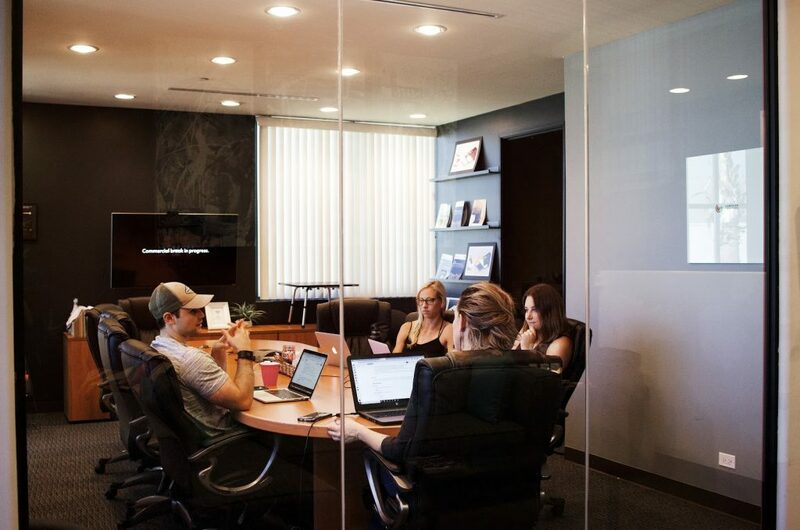 Meeting rooms are more professional than your living room or a cafe, and quite often they contain videoconferencing technology and catering options. It also makes life easier for those traveling long distances or internationally. There are more likely to be hotels in the vicinity of an office for people to stay in overnight before traveling back to where they need to be the following day. At the end of the day, running your business on your own from your home or on the move can get in the way of efficiency and productivity levels, especially if you’re running things without a business partner or employees to help. One of the best things about a virtual office is that you can enlist the help of a Virtual Receptionist. A VR is on hand to answer calls on your behalf, take messages professionally and act as a point of contact for prospective clients, meaning you’ll never miss a call – or lead – again. So for a relatively low cost, you can boost your business’ brand image, secure a space for client meetings and continue to grow with the help of a Virtual Receptionist. Search the global virtual office market to find your perfect virtual office match today. © 2012 to 9202 Critical Financial. All rights reserved.